Our Cyclone Blanche delayed Sprint Series finally got underway at Lake Alex in perfect conditions (the weather gods smiled on us) on Sunday. What an awesome lot of volunteers (members & friends) we had helping out. A huge thank you to Race Director Brian Gallagher who was up with the sparrows and delivered a great event for our members to enjoy. Feedback was thumbs up all round! Thanks also to David Hancock who helped set up buoys, signage; Jac Crofton & Brad George who handled event check in; Tina Sanderson who organised our post event fruit & ice; Gary Wall who was one of the first there & last to leave, towing the trailer, setting up the timing system etc; Julie Gallagher & Megan Gallagher helped with our drinks station; Belinda Townend (pictured) marshalled our hot corner; Daryl Stanley, Allan Barrett & Luke Fronsko were there till stumps; and thanks also to those who pitched in where needed, we really do appreciate your help. The assistance of our traffic management, surf lifesaving & St John Ambulance crews was also tops!! We do it all again this Sunday when our rescheduled Sprint #1 takes place (see below for details). if you can help out. 1. Please note the earlier start time for this event. 2. Transition for this event will be in the carpark on the far side of the toilet block as you drive in. 3. The earlier start should have the majority on the run before expected traffic to a mid morning festival event commences. 2. 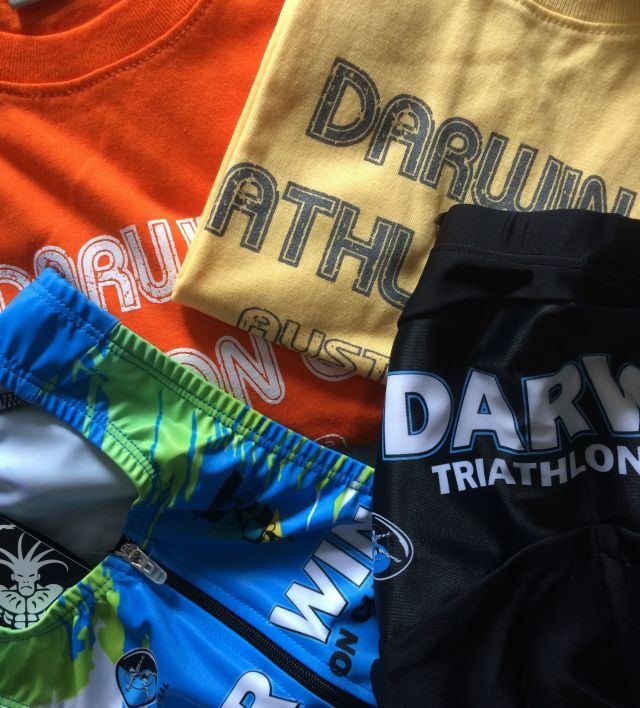 CLUB TRI GEAR: Limited items of club custom tri gear available for purchase (subsidized) as well as some club cotton tees to clear at reduced prices. We also have a new order of popular sizes available in our club cotton tees. Pick up for early orders can be arranged for Sunday's event if that suits. 1. Pointscore has been updated. 2. Glen Scholz & Luke Hansen tackle the 4th & longest stage at Cape Epic later today. Guys are going well. 4. 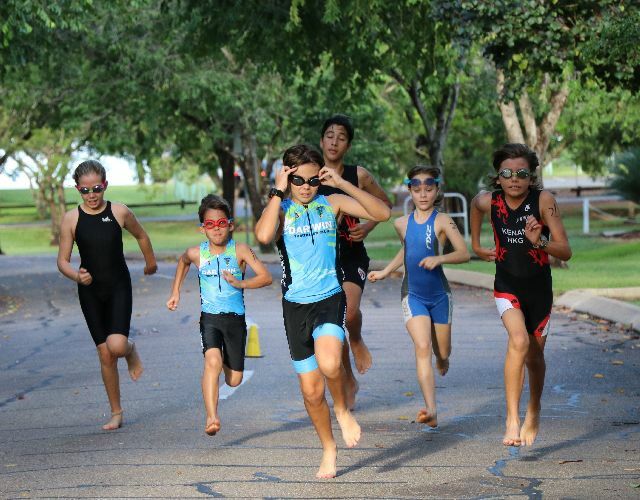 Triathlon NT has opened entries for Kids Triathlon, NT Junior C'ships (15 April) & Darwin Careflight (16 April) events. 6. 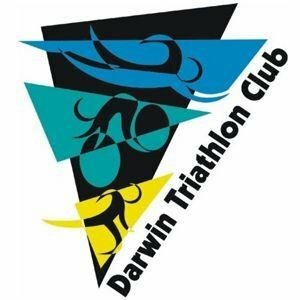 Lots of training chit chat around with so many of our members targetting IM Australia, IM 70.3 Busselton, IM Cairns, IM 70.3 Cairns and Busso this year. 7. See you all bright and early Sunday. Don't forget your timing chip and that we have a slightly earlier than usual start. Our sprint event was so good, even Gary smiled! Finally, after Cyclone Blanche caused take 1 to be cancelled, we will be kicking off our Sprint Series this weekend. Those who had entered Sprint #1 have been sent an email detailing how to transfer their entry to this weekend's Sprint #2. For admin purposes Sunday's event is staying as Sprint #2, we can now confirm our Rescheduled Sprint #1 will go ahead a week later (26 March) and date for Sprint #3 remains as listed - 9 April. Entry links 26 March and 9 April will be up later this week. 1. 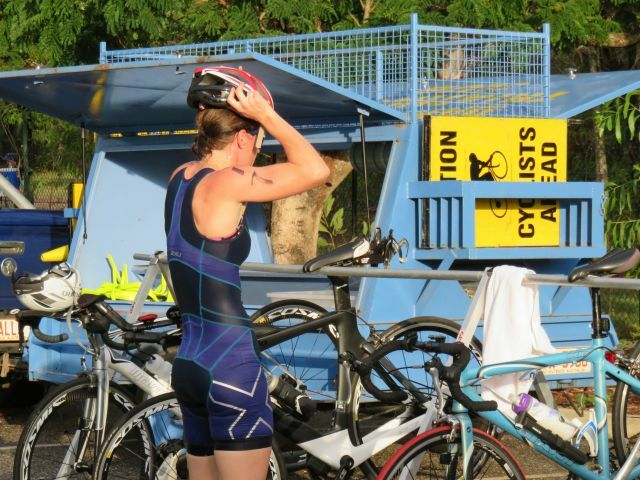 Please read the basic triathlon rules via the info link above. 2. Tickets to NT Sports Awards are on sale. 4. Wow - super impressed by Dr Mitch Anderson's 12 hour world record ride today in Melb (on a road, not velodrome) - 489km, that's an average of 40.75km an hour - for 12 hours! 5. Our juniors had a ball at their event yesterday. A big thank you to junior co-ordinators Rena Walker & Lyn Farrier and to all the parents and friends who assisted. The kids loved it! 6. 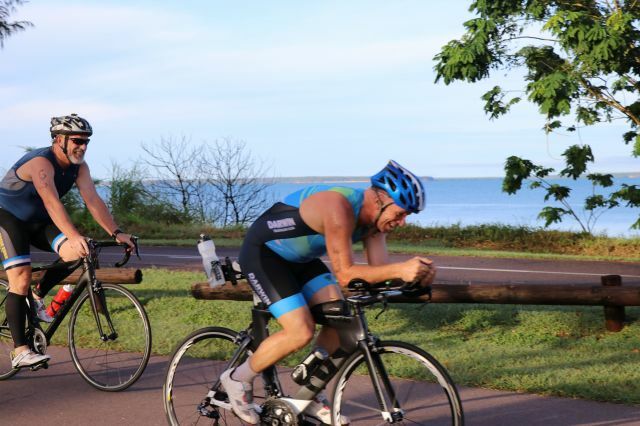 There may be some disruption along the Nightcliff Foreshore with further cliff erosion works due to commence. Due to be completed in June.